A dominant debate in education reform is over whether or not students should have to take on high-quality, college-preparatory curricula or should be able to choose a vocational-oriented curricula that allows them to get jobs immediately. Defenders of the first group (including the Gates Foundation and Kevin Carey of the Education Sector) rightly point out that children need college prep curricula in order to avoid being part of the 50 percent or more of college freshmen who end up in remedial courses and thus never graduate. The other side (a motley crew that includes Charles Murray and defenders of traditional public education) argues that far too many kids are going to college anyway, that they are going for degrees in jobs that don’ t actually need higher levels of preparation, that the curricula is too challenging for most kids, and that they would be best apprenticing for positions. This isn’t a new argument. In fact, it is as old as the debate over whether high schools should be college prep-oriented (as legendary Harvard University president Charles Eliot envisioned and successfully pushed in the late 19th century) or the comprehensive track-based system that has been predominant for the past 70 years. The racialist origins of the latter (that blacks and immigrants couldn’t succeed academically) notwithstanding, the argument remains active especially in the age of No Child Left Behind and modern school reform. For those who believe in vocational education — shop classes and the like — the emphasis on academic curricula to them is a bias against blue-collar work. But a list compiled earlier this month by Forbes should put an end to this counterproductive argument. The evidence is clear: All kids need a high-quality curricula that prepares them for higher education of all kinds, be it college, vocational college or apprenticeships. The list, America’s Best Paying Blue-Collar Jobs, notes that just about all the top-paying positions that don’t involve working at a desk require some form of higher education. 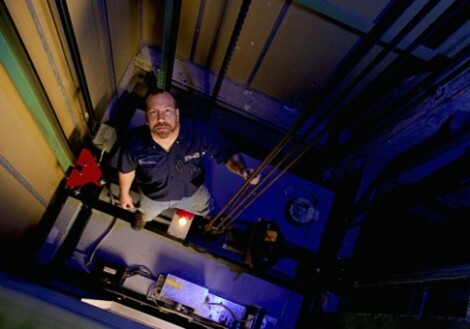 An elevator repairman and installer, for example, must apprentice for four years before being ready to take on a complex job that involves aspects of mechanical engineering, structural engineering and electrical engineering. Another position, rotary drill operators in the oil industry, usually need to have an Associate’s degree in order to get through the door. Electrical and electronics installers — including those who work on power plants and substations — also need community college education and will spend a few years working alongside veterans to gain experience. The only job that doesn’t require such experience (in theory) are long-hall truck drivers; even then, many of them go to technical school to learn how to drive big rigs and buses (if they don’t already have such experience from working at Greyhound). In essence, all of these positions require some sort of higher education — not in the 19th century sense of just the Ivy League campus, but in a much-older sense of apprenticeships, technical colleges and yes, traditional private and public universities. This shouldn’t be a surprise. As I’ve mentioned on this site, welders need higher-level math skills such as trigonometry just to qualify for apprenticeships within the automotive industry, and machine tool-die manufacturers are often experts in algebra, calculus and other mathematical subjects. Highly-skilled blue-collar professionals need high-level math skills — and the underlying reading skills that help young men and women learn how to master the underlying symbols and knowledge that girds all of mathematics — as much as their white-collar counterparts. The coming generation faces even more complexity. Thanks to the Internet and the advancement of data systems in every sector, mastering statistics is now critical for journalists, marketers and many other white-collar and blue-collar professionals. Plumbers — often cited by opponents of high-quality curricula as the ultimate high-pay no-skill job — requires technical education (and strong underlying K-12 education) in order to make it. Even auto repair work — once grease monkey work in the minds of previous generations — is now a knowledge-based sector thanks to the widespread use of computers in engines and other sections of cars. What all children need is a high-quality curricula, no matter where they live or what school they attend, in order to choose their own path in a much-more expanded concept of higher education that includes traditional college, vocational school, community colleges and apprenticeships. So do our communities, especially the poor urban communities that suffer as a result of the failures of dropout factories and the rest of traditional public education; they cannot be revived without a core group of middle-class white-collar and blue-collar professionals to lead the way. So does society: Plumbers should be able to easily cite Chaucer in polite conversation, if they so choose; after all, Western Culture cannot survive and thrive without highly-educated people at every level and professional rank. If we all truly believe in lifelong learning, eliminating all limitations on that is crucial to encouraging all children to become well-studied adults. It is no longer a question of whether children need high-quality, higher ed-driven curricula or not. It is a question of whether they will get it before we all pay the price. Or in short, the Kevin Careys and the Charles Murrays just need to stop arguing and get to work.